Fred Kaplan, M.D. 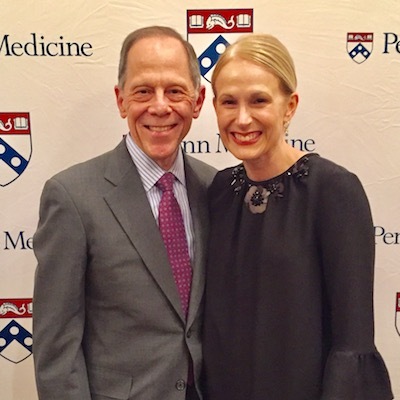 & Tina Bales Kaplan, M.D. The Quality of L.I.F.E. (Living Independently with Full Equality) Awards helps those with FOP live more independently in their daily lives. A Quality of L.I.F.E. Award provides up to $1,500 for items, services, or education and training that improve health, welfare, and independence for people living with FOP. Recently Dr. Frederick S. Kaplan sent the following letter to the IFOPA’s Board of Directors. This gift is transformational for the L.I.F.E. Awards providing much-needed funding to ensure grants for those living with FOP continue for many years to come. To learn more about the Quality of L.I.F.E. Awards or submit an application, click here. As you know, I was recently honored and humbled to receive The Grand Hamdan International Award in Medicine in Dubai. This award, which is intended to recognize “dedication to alleviating human suffering through research and standard services,” comes with a substantial monetary prize that I would like to donate to the IFOPA as a gift in memory of my beloved parents, Harold & Elaine Kaplan. 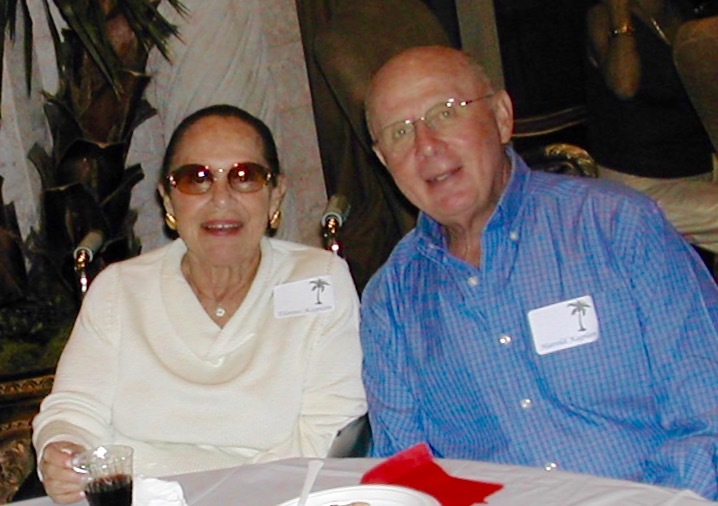 My parents adored and admired the FOP community. They loved meeting the FOP patients and families, attending many of the FOP events over the years, and hearing about the progress toward better treatments and a cure. My parents made it possible for me to attend medical school and to obtain the education that ultimately led me to a scientific, medical and emotional journey dedicated to the FOP community over the last 30 years. That journey – which has truly been a collaborative effort with so many amazing researchers, clinicians, patients and families around the world – has changed my life and has led to the breakthroughs that were honored by The Grand Hamdan International Award in Medicine – and that in my most heartfelt dreams will lead in the not-too-distant future to the advances in therapy that we all so desperately desire. Research always looks to the future. It is essential in making a transformative long-term difference, but we must not forget the present – the moment we are living in – the now. My parents understood that well, and they instilled a deep value in me for appreciating the quality of the day through their actions – each and every day. My mother suffered from the ravages of Multiple Sclerosis for over 50 years. It greatly affected the quality of her life. My father dedicated his life to making her more independent & comfortable and helping her live each day to the fullest. I hope that a gift like this will symbolize how grateful I am to both of them for showing me the importance of the quality of life – and how deeply I want to improve the present – as well as the future – for the FOP community. 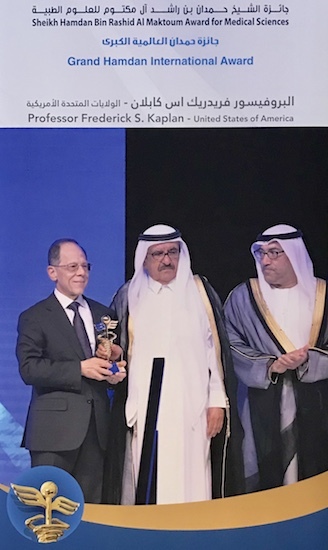 In that spirit – and in the spirit of the Award – I would like to donate the proceeds of The Grand Hamdan International Award in Medicine to the IFOPA to establish – in perpetuity – The Harold & Elaine Kaplan Quality of L.I.F.E. Awards.